Ever since the dissolution of the Soviet Union, there have been fears of 'terrorists' obtaining fissile material (plutonium or enriched uranium) and making a nuclear bomb. Getting their hands on enough of this type of radioactive material for a bomb is likely very difficult however. Some have speculated that a 'dirty bomb' could be developed, one which would not necessarily cause a nuclear explosion but which would spread radioactive contamination. Both these devices however (nuclear bomb and dirty bomb) require a delivery system (missile or large suitcase) as well as a 'trigger' (in the case of a 'suitcase' bomb) for detonation. But to create terror, the terrorist doesn't necessarily have to kill or even injure his victims. What better terrorist device is there, than one which simply disseminates terror? A relatively small amount of fissile material might be just what the terrorist needs for this purpose. A small amount of plutonium (in a backpack or in a 'suicide' vest) that is made to reach 'criticality' would have a dramatic effect, cause local injury and death and 'terrorize' the targets who would not know how much real damage was inflicted at the time nor what the future truly held for them. The nuclear weapons and the nuclear energy industries are subject to the normal range of accidents, from vehicle wrecks to falls from a height but there is one type of accident which is unique to these sectors, the criticality accident. This is an event where an amount of fissile material accidentally comes together into a supercritical amount. There is a sudden release of energy and deadly radiation. It is all about the number of neutrons which are released. By definition, criticality is reached when conditions in a nuclear reactor are such that the fissionable material can sustain a chain reaction by itself. In effect, criticality is reached if each fission event causes, on average, exactly one other, resulting in a self-sustaining fission chain reaction (see post: Would You Prefer Plutonium or Uranium in Your Nuclear Weapon?). When a uranium-235 atom undergoes fission, it releases 2-3 neutrons (average 2.4). 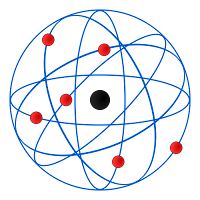 Therefore, criticality is reached if every released neutron has a 1/2.4 = 0.42 = 42% probability of causing another fission event as opposed to either being absorbed by a non-fission capture event or escaping from the fissile core. The criticality of a system can be calculated by comparing the rate at which neutrons are produced to the rate at which they are lost through absorption (boron-containing absorbing rods) and leakage out of the reactor core. A properly functioning nuclear reactor is a system that controls this criticality or balance of neutrons. When a reactor is said to have 'gone critical', it means it is in a stable configuration producing a constant power. 'Subcritical' refers to a system where the loss rate of neutrons is greater than the production rate of neutrons and therefore the number of neutrons decreases as time goes on. During shutdown, the nuclear reactor is placed in a 'subcritical' configuration so that the neutron population and power decreases. 'Supercritical' refers to a system where the production rate of neutrons is greater than the loss rate of neutrons and therefore the neutron population increases. It is when the neutron population remains constant that there is a perfect balance between production rate and loss rate, and the nuclear system is said to be 'critical'. The criticality of a system can be calculated by comparing the rate at which neutrons are produced, from fission and other sources, to the rate at which they are lost through absorption and leakage out of the reactor core. A nuclear reactor is a system that controls this criticality or balance of neutrons. 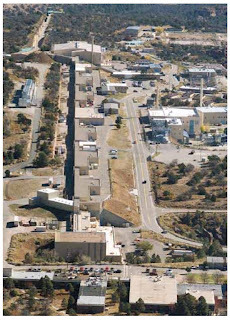 A criticality accident is an unintentional increase of nuclear chain reactions (in enriched uranium or plutonium), releasing a surge of neutron radiation into the surroundings. Criticality accidents cannot reproduce the same conditions of an atomic bomb, so a nuclear explosion does not occur. The nuclear reaction however, does create heat which causes the fissile material to expand, so that, within a few seconds, the nuclear reaction becomes subcritical again. Since uses of atomic power were developed, at least 60 criticality accidents have occurred between 1945 and 2011 in collections of fissile materials many in facilities outside nuclear reactors. Many of these accidents related to nuclear weapons research conducted after the bombings of Hiroshima (August 6, 1945) and Nagasaki (August 9, 1945). 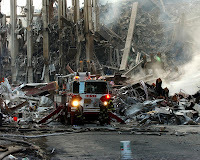 Some of these accidents have resulted in death through radiation exposure of those close to the event. Other people further away from the source of radiation have suffered long-term effects and development of cancer years later. 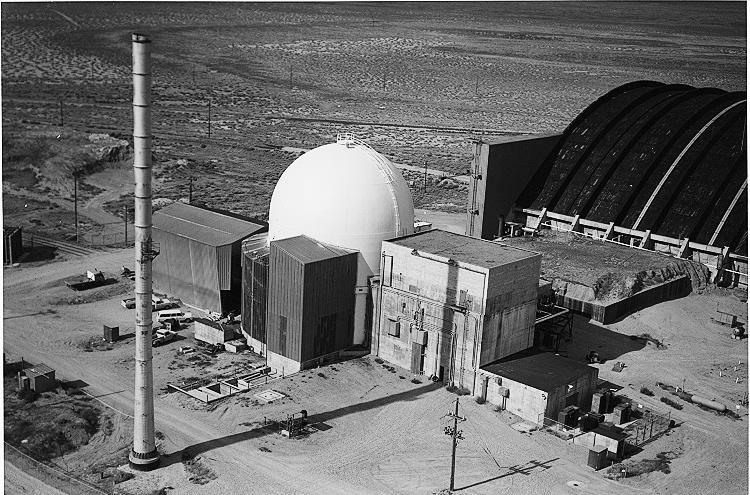 The SL-1 accident at the National Reactor Testing Station near Idaho Falls, USA on January 3, 1961 was a criticality accident that took place inside a military facility reactor (see post: Man-Made and Natural Nuclear Accidents). 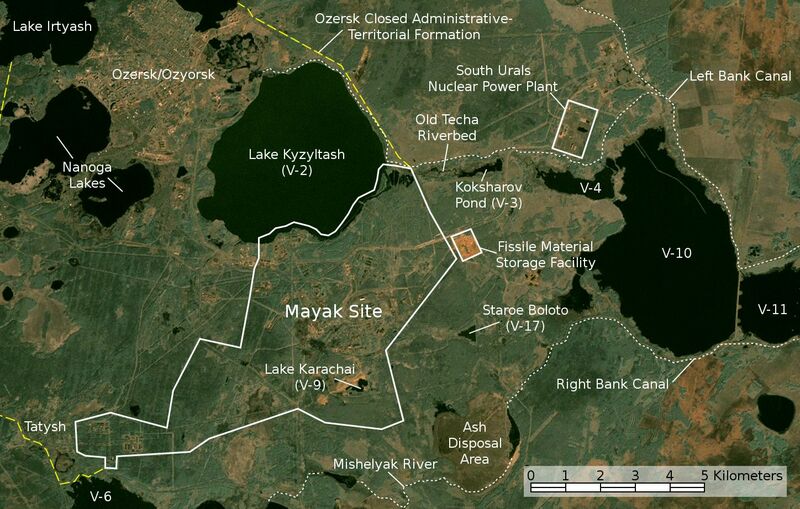 In the former Soviet Union, at the Mayak nuclear fuel processing center in central Russia an experiment with plutonium purification techniques was planned on December 10, 1968. Two operators apparently placed plutonium organic solution into an 'improvised' container. After most of the solution had been poured out, there was a flash of light and heat. The operator panicked, dropped the bottle and ran from the room. The complex was evacuated then the supervisor and radiation control supervisor re-entered the building. The shift supervisor then deceived the radiation control supervisor and entered the room of the incident and possibly attempted to pour the solution down a floor drain, causing a large nuclear reaction that irradiated the shift supervisor with a fatal dose of radiation. 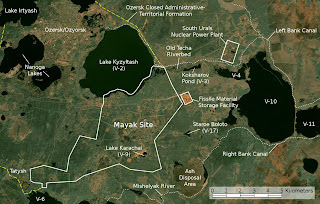 Mayak is located in the closed nuclear town of Ozersk, is still operational today and is Russia’s only operational facility for reprocessing spent nuclear fuel from VVER-440 type reactors and spent fuel from nuclear submarines, as well as fuel imported from other countries. Decades of spilling radioactive poison into the nearby Techa River Cascade and Lake Karachai have earned the site the moniker of being the most radioactively contaminated place on earth. 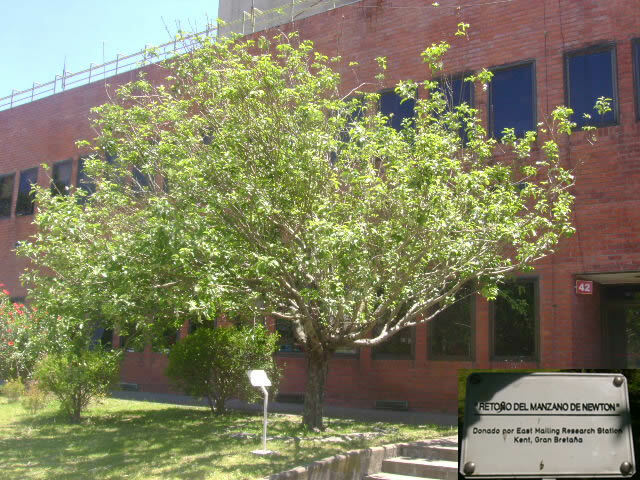 On September 23, 1983, an operator at the RA-2 research reactor in Centro Atomico Constituyentes, Buenos Aires, Argentina died from a fatal radiation dose of 3700 rads (37 Gy) while changing the fuel rod configuration with moderating water in the reactor. Two other workers were injured. On September 30, 1999, at the Japanese uranium reprocessing facility in Tokai, Ibaraki Prefecture, workers put a mixture of uranyl nitrate solution into a precipitation tank which was not designed to dissolve this type of solution and caused an eventual critical mass to be formed, and resulted in two workers dying from radiation poisoning. There have been many more criticality accidents but the most infamous cases of criticality accidents occurred at the Los Alamos Laboratory in New Mexico while scientists worked with the 'demon core'. This type of investigation aimed at creating a temporarily critical mass of fissionable material by sliding a slug of uranium-235 hydride through a larger mass of the same substance. They called it the 'Dragon Experiment'. These manual experiments continued with the hemispheres of plutonium used in the Trinity bomb, the first test of an atomic weapon (July 16, 1945), the Fatman, and the bombs used at Operation Crossroads in 1946. 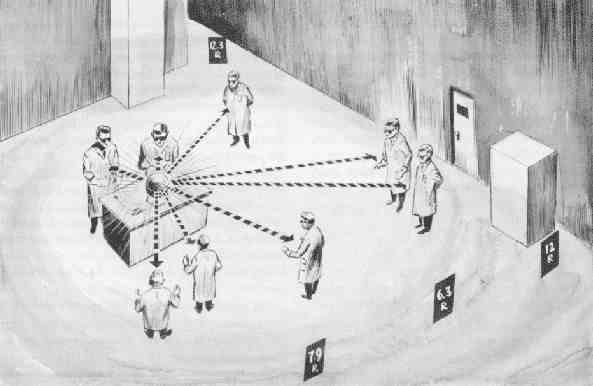 Along with the successful tests, there were numerous criticality accidents with run-away output of energy and radiation. Within a year of the Trinity test, accidents would claim the lives of two members of the team that assembled the plutonium core at Trinity. 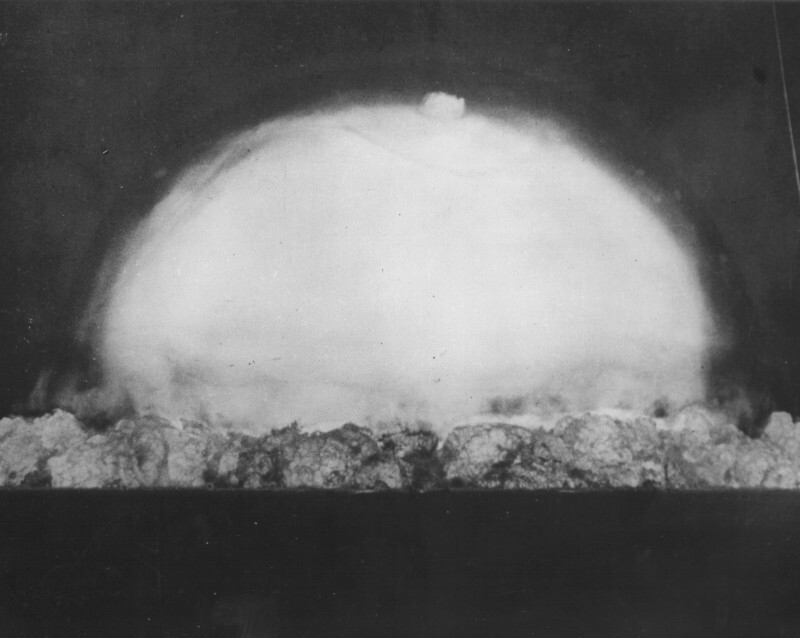 It became known as the demon core, the 14 pound (6.2 kilogram) mass of plutonium which went critical in two separate events at the Los Alamos laboratory, New Mexico, the first in 1945 and the second in 1946. This same core was used in an atomic bomb test in 1946, five weeks after the second fatal accident. 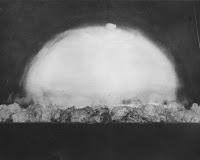 The explosion proved in practice to have a slightly increased yield over other cores which had not been subjected to criticality excursions. Harry Daghlian was a physicist who made a mistake while working alone performing neutron reflection experiments on the (demon) core. On the night of August 21, 1945, Daghlian was working alone but accompanied by a guard sitting 12 feet away making critical mass studies and measurements, stacking blocks of tamper material (tungsten carbide bricks) around the mass of fissionable material. The assembly was close to a critical configuration and Daghlian was lifting one last heavy piece of tamper material. As this piece approached the set-up, instruments warned that fission multiplication was imminent. He moved the block in hand to set it further from the pile and accidently let it slip, dropping it directly on top of the set-up. There was a sudden 'blue glow' and Daghlian quickly disassembled the critical material and its tamper. Harry Daghlian absorbed huge doses of radiation, resulting in acute radiation poisoning and died less than 28 days later. The guard, sitting 12 feet away, suffered no obvious injury at the time. His estimated exposure was 0.31 Gy. He died of acute myelogenous leukemia 33 years later, age 62. Louis Slotin was a Canadian physicist from Manitoba working as a senior scientist at the Los Alamos Laboratory. On May 21, 1946, Slotin had already become the local expert, performing the same test almost a dozen separate times before, often in his trademark bluejeans and cowboy boots, in front of a roomful of observers. On this occasion, Slotin and seven other scientists were conducting the experiment to verify the exact point at which a subcritical mass of fissile material could be made critical by the positioning of neutron reflectors. The test was risky and known as 'tickling the dragon's tail'. Enrico Fermi had told Slotin and others that they would be 'dead within a year' if they continued performing it. The technique involved bringing a hollow hemisphere of beryllium (the neutron reflector) around a mass of fissionable material which was resting in a similar lower hollow hemisphere. The system was checked with two one-inch spacers between the upper hemisphere and the lower shell which contained the fissionable material; the system was subcritical at this time. 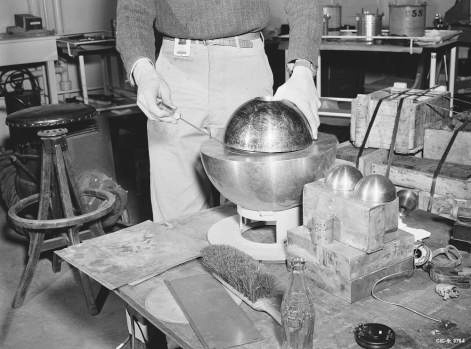 The experiment required the operator to place the two half-spheres of beryllium around the core, manually lowering the top reflector over the core via a thumb hole on the top. As the reflectors were manually moved closer and farther away from each other, counters would measure the relative activity from the core. Allowing them to close completely would result in the instantaneous formation of a critical mass and a lethal power excursion. Spacers between the shells were removed so that one edge of the upper hemisphere rested on the lower shell while the other edge of the upper hemisphere was supported by a screwdriver. Under Slotin's unapproved protocol, the only thing preventing the energy surge was the blade of the standard flat-head screwdriver. This upper shell edge was permitted to approach the lower shell slowly. While one hand held the screwdriver, the other hand was holding the upper shell with the thumb placed in the opening at the polar point. Then the screwdriver slipped and the upper shell fell into position around the fissionable material. Of the eight people in the room, two were directly engaged in the work leading to this incident. The blue glow filled the room, a heat wave felt by all. Realizing what had happened, Slotin knocked the two halves apart, stopping the chain reaction and likely saving the lives of the other men in the laboratory. His body positioning over the apparatus also shielded the others from much of the neutron radiation. 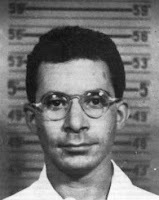 Slotin received a lethal dose in under a second and died nine days later from acute radiation poisoning. The nearest physicist to Slotin, Alvin Graves, was watching over Slotin's shoulder and was thus partially shielded by him, receiving a high but non-lethal dose of radiation. Graves was hospitalized for several weeks with severe radiation poisoning, developed chronic neurological and vision problems as a result of the exposure, suffered a significant shortening of his lifespan and died of a radiation-induced heart attack 20 years later. The other six people in the room were far enough away from the assembly to avoid fatal injury, but they all suffered other complications as a result of the accident. Two suffered severe shortening of their lives and died years later from radiation-induced complications - leukemia at age 42 for one observer (18 years after the accident) and the second died from aplastic anemia. 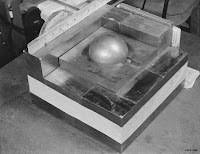 The same demon core was later put to use in an atomic explosion July 1, 1946, demonstrating that the criticality experiments of Daghlian and Slotin had increased the efficiency of the weapon. 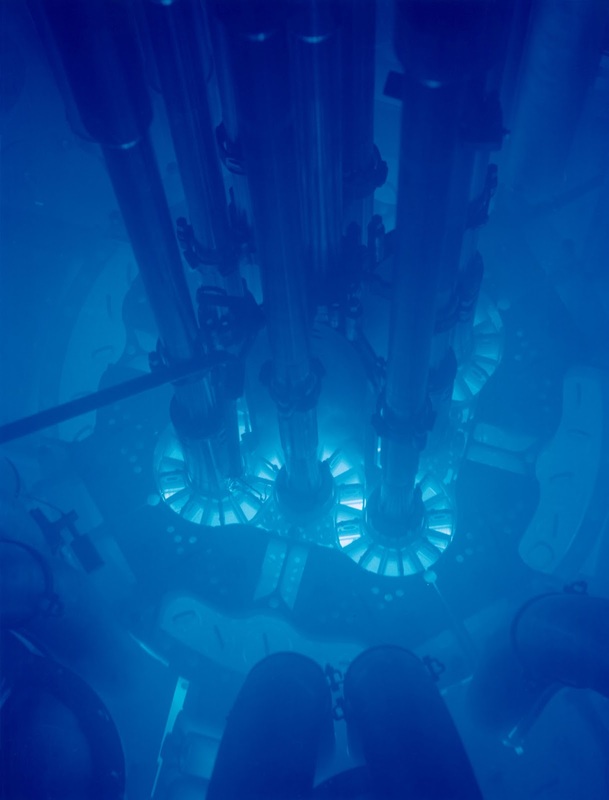 Blue glow and heat are two sensory effects of a criticality accident. Electric sparks in the air (lightening is an example) will often appear blue. This effect occurs due to the energy emission of excited molecules or atoms (mostly nitrogen and oxygen) falling back to their unexcited state. The cause of the heat effect experienced in a criticality accident is uncertain. It is either due to the realization by the observer of the terrible event which just took place (and its consequences) or possibly due to non-thermal stimulation of heat-sensing skin nerves by the energy of the radiation or by a true heat flux produced by the event. One other possible cause of this heat sensation is non-thermal damage done to tissue on the cellular level by the ionization and production of free radicals (see post: Low Dose Radiation and Its Effects) caused by exposure to intense radiation. There may also be relationship between the blue glow and the heat effect itself. Over 30% of the blue glow emissions are in the ultraviolet range, and about 45% are in the infrared range while only 25% are in the visible range. The skin feels infrared light directly as heat, and ultraviolet light is a cause of sunburn. Together, these phenomena can explain the heat wave observations. There is a characteristic blue glow associated with nuclear reactors called 'Cherenkov radiation'. This blue colour is due to electromagnetic radiation which is emitted when an electron or other charged particle passes through a medium such as water at a speed greater than the velocity of light usually seen in that medium. The charged particles polarize the molecules of the water which then turn back to their ground state, emitting radiation (the blue glow) in the process. So, what if a terrorist did have a sphere of plutonium, 28 pounds (13 kilograms), a real demon core? If a portable setup could be developed where the sphere could be surrounded by a neutron reflector, the mass of plutonium required could be much less, perhaps as little as 11 pounds (5 kilograms). Thirteen kilograms or 5 kilograms...it's still not much to carry, under a vest or in a back pack. 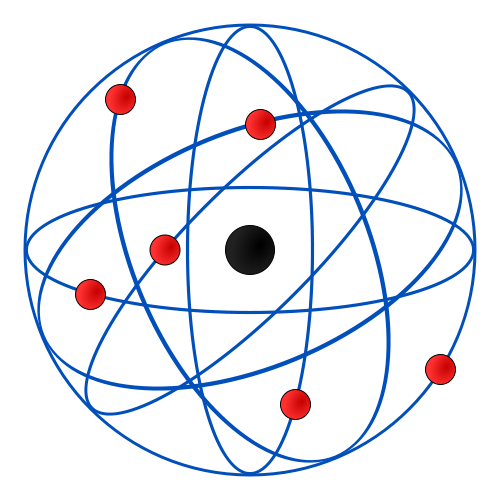 If there were a technique, a mechanism whereby the demon core could be brought to the edge of criticality, expose everyone within twenty feet to deadly doses of radiation, then settle back down, a terrorizing effect would be realized. The suicide wearer of the vest/back pack could wander the crowded city of New York or London, triggering the plutonium core towards criticality again and again until his exposure brings him to the edge of death. 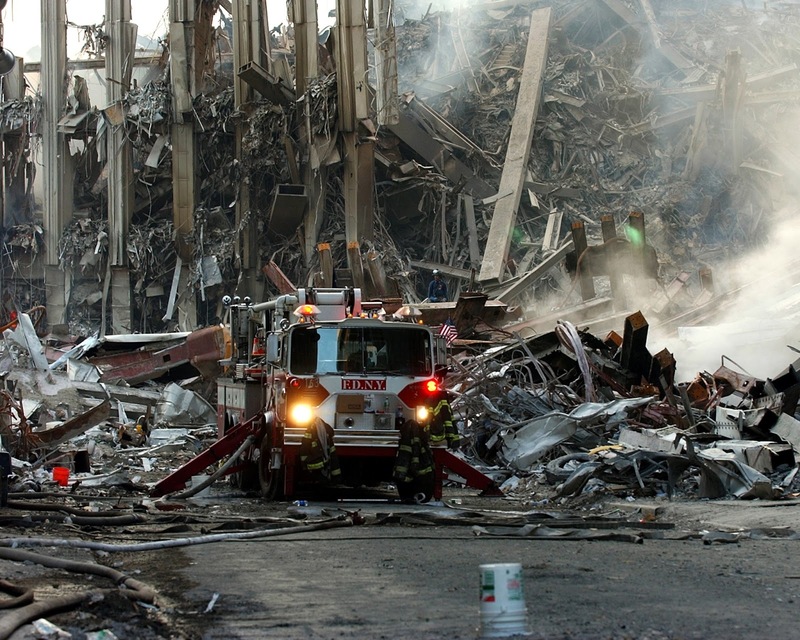 Exhausted, the terrorist could hand off the demon core to an associate who could continue the process, exposing hundreds, perhaps thousands to lethal radiation and maybe millions to the longer term effects of radiation exposure (leukemia, heart disease, other cancers). The only clue that anything might be amiss, would be the sensation of 'heat' pulses next to the terrorist and an intermittent, pale, 'divine' blue glow (see post: The Colors of Faith), signs that death, an unpleasant death, will soon upon you. Click on the link below to watch a dramatization of a fictionalized (but based on fact) Los Alamos criticality event.